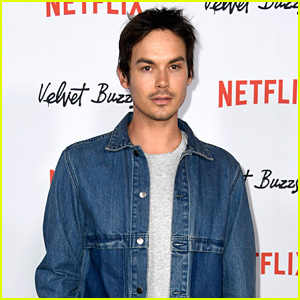 Kamran Lucas Photos, News, and Videos | Just Jared Jr. 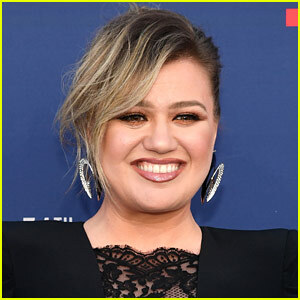 Tons of your favorite stars stepped out this weekend for UCLA Mattel Children’s Hospital’s annual Mattel Party on the Pier at the Santa Monica Pier. 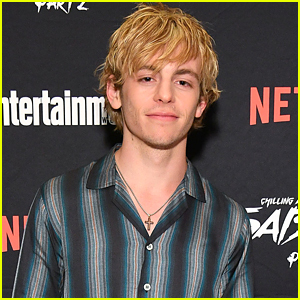 Here are all the stars who came to the event: Raini Rodriguez and bro Rico, Speechless‘ Mason Cook, Forrest Wheeler, Francesca Capaldi, Kerri Medders, Tiffany Espensen, twins Benjamin and Matthew Royer, MECH-X4‘s Alyssa Jirrels and Kamran Lucas, Walk the Prank’s Jillian Shea Spaeder, Carson Lueders, Young Sheldon‘s Reagan Revord, and This is Us‘s Mackenzie Hancsicsak and Hannah Zeile. Hayden and Dylan Summerall, Brec Bassinger, Fuller House‘s Elias Hargar, Michael Campion, Soni Nicole Bringas, plus Disney stars DeVore Ledridge, Ariana Greenblatt, Joe Nieves, Cerina Vincent, Isaak Presley, Nicolas Bechtel, Kayla Maisonet, Joshua Rush, Sofia Wylie, Emily Skinner, Ava Kolker, and Lexy Kolker. Guests enjoyed the Power of Play area, where kids enjoyed complimentary glitter tattoos and hair braiding compliments of Skechers, Yoobi arts & crafts, as well as a fun custom cookie-decorating station. All attendees were treated to unlimited rides and game booths with toys donated from Mattel for the fun filled day! Proceeds from the event were raised to benefit UCLA Mattel Children’s Hospital and the best part? You can still donate! Supporters nationwide can still donate by texting MattelPOP17 to 24700 through end of this week, to help provide funding to launch high-priority programs and innovative discoveries that benefit boys and girls being treated at UCLA Mattel Children’s Hospital and beyond. Season two of the hit Disney XD show premiered today with five (yes, FIVE!) back-to-back episodes, and we were so excited, we obviously had to find out what the cast’s favorite moments were. Nathaniel Potvin, Kamran Lucas, Pearce Joza, Raymond Cham Jr., and Alyssa Jirrels all dished on one scene that was most memorable for them. Tell JJJ: What was YOUR favorite moment from the first five episodes? Watch our exclusive clip from the very first episode of season two below if you missed it! MECH-X4 Season 2 Returns September 9th With 5 NEW Episodes! 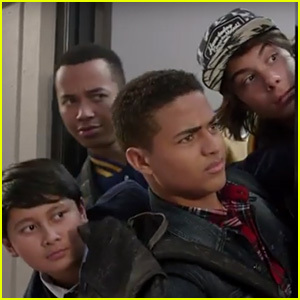 MECH-X4 is coming back SO SO SO SOON! 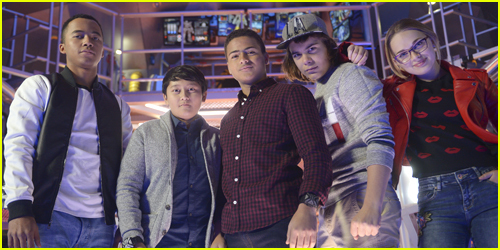 Season 2 of the hit Disney XD series — starring Nathaniel Potvin, Kamran Lucas, Pearce Joza, Raymond Cham, Jr., and Alyssa Jirrels — will be back on our TV screens on Saturday, September 9th! We’ll get five back-to-back episodes starting at 11AM ET on Disney XD, the Disney XD App and the Disney Channel App. In season two, with Bay City High gone, Ryan, Spyder, Harris and Mark find themselves navigating the pitfalls of adolescence in a new school, East Bay City High. While Mark tries to reclaim his star athlete status, Ryan tries to use his technopath powers to help him, Spyder and Harris adjust to being freshmen at the rival school. Veracity is also back — the brilliantly fierce science rival of Harris who fans fell in love with in season one. She not only helps the guys adjust to their new school, but she joins the heroic team to help control the 150-ft robot MECH-X4. 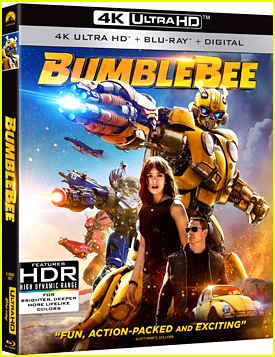 The unlikely teenage heroes continue to work together as a team to maneuver MECH-X4, their only hope of saving their city from a whole new set of monsters and villains even more powerful and dangerous than before. Kayla Maisonet and Nathaniel Potvin are officially official! 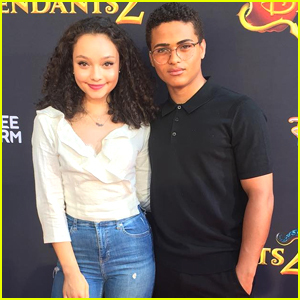 The two Disney stars stepped out together at the Descendants 2 premiere and after walking the carpet together separately, Nate shared a snap of them together on his Instagram page. “We had so much fun at the Descendants 2 Premiere. 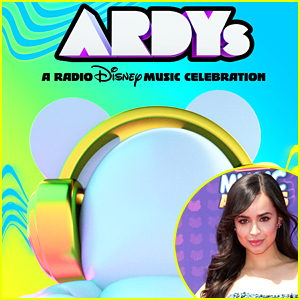 Thanks @disneychannel,” he simply captioned with the pic, which is sooooooooo cute! Kayla and Nate walked the red carpet alongside their many co-stars, including Jenna Ortega, Isaak Presley, Malachi Barton, Nicolas Bechtel, Ariana Greenblatt, Alyssa Jirrels, and Kamran Lucas. Bizaardvark‘s DeVore Ledridge, Madison Hu, Ethan Wacker, and Olivia Rodrigo are also pictured below. 'Raven's Home' Cast Races To 'Cars 3' Premiere at Disneyland - Pics Inside! The stars of Raven’s Home look like they had an amazing time at the Cars 3 premiere at Disneyland in Anaheim, Calif., on Saturday (June 10). Navia Robinson, Sky Katz, Issac Ryan Brown, and Jason Maybaum, met up with Anneliese van der Pol on the red carpet for the event. “Amazing weekend… & it’s gonna be an amazing week!! !” Sky wrote on her Twitter afterwards. Mech-X4‘s Alyssa Jirrels, Nathaniel Potvin, and Kamran Lucas, plus Isaak Presley, Ethan Wacker, DeVore Ledridge, Karan Brar, and star Madeleine McGraw are also pictured at the event. ABC kids Marsai Martin, Ian Chen, Forrest Wheeler, and Hudson Yang also stepped out for the premiere. Cars 3 hits theaters on Friday, June 16th. FYI: Karan is wearing an H&M shirt and denim. Ronni Hawk and Jenna Ortega went for bold statements on the purple carpet for Marvel Studios’ Guardians of the Galaxy Vol. 2. premiere last night in Hollywood. The on-screen Stuck in the Middle sisters joined Cerina Vincent, Forever in Your Mind and black-ish stars Marsai Martin, Miles Brown, and Marcus Scribner. The MECH-X4 cast — Kamran Lucas, Pearce Joza, Rohan Campbell, Alyssa Jirrels, Nathaniel Potvin, Raymond Cham Jr. — also stepped out for the premiere. Just the night before, Ronni was spotted at the Thirst Project’s 8th Annual thirst Gala. FYI: Ronni wore a stunning Khosla Jani dress for the premiere. Jenna wore a Dhela gown with an Onna Ehrlich clutch.